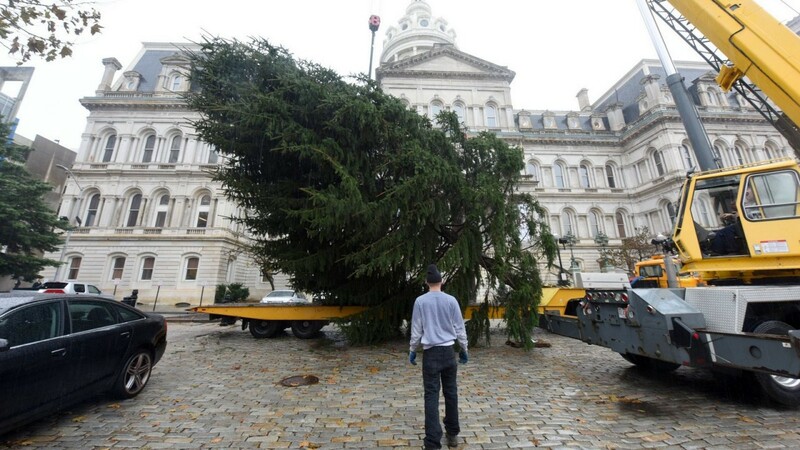 For years, Baltimore officials have turned to individuals from outside the city to donate the live tree placed in front of City Hall and decorated with lights for the holiday season. Baltimore arborist Erik Dihle confirmed that the tree was cut down by city workers at Druid Hill Park last week. For Dihle, who leads the city’s efforts to grow its urban tree canopy, the decision to fell a mature specimen in a park clearly didn’t sit well. As news of the tree-chopping spread, there were angry postings on social media, mostly directed at Mayor Pugh. “Anonymous Tree Baltimore employees are sick that our Mayor has ordered a healthy mature Norway Spruce to be hacked down from Druid Hill Park for her City Hall lighting!” said Baltimore artist Dan Van Allen, posting about the incident on Facebook. “I’m sure there are several Maryland Xmas tree farms that would donate one of their overgrown trees to the City if money is really the issue!” he wrote. “The mayor and her hatchet men!” one commenter chided. Did the decision to wield a chainsaw In Druid Hill Park come from Pugh? “I’m just going to say that it’s the city. I’m not going to come back and pinpoint how this was decided,” Dihle said when asked. The tradition of soliciting a tree from private donors goes back at least 10 years, city officials say. 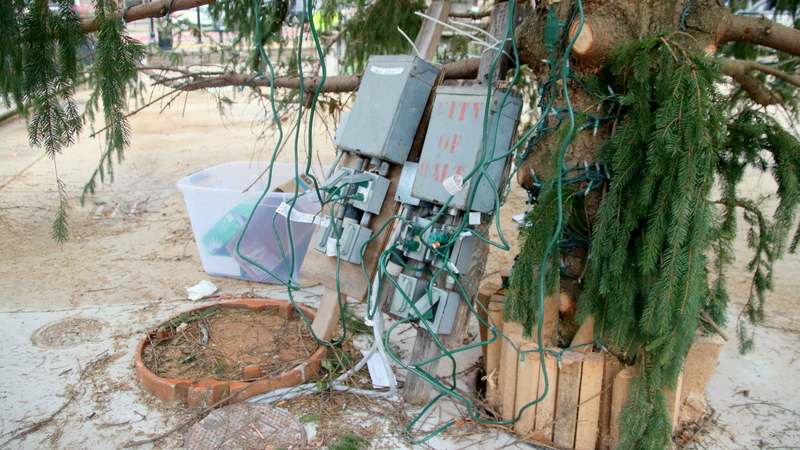 In 2014, for example, the City Hall holiday tree came from a Carney family’s front yard. A 2012 mayoral press release promised potential donors “a letter of thanks from Mayor Stephanie Rawlings-Blake” in return. How old is the tree cut last Monday? Dihle said he would have to count the rings. 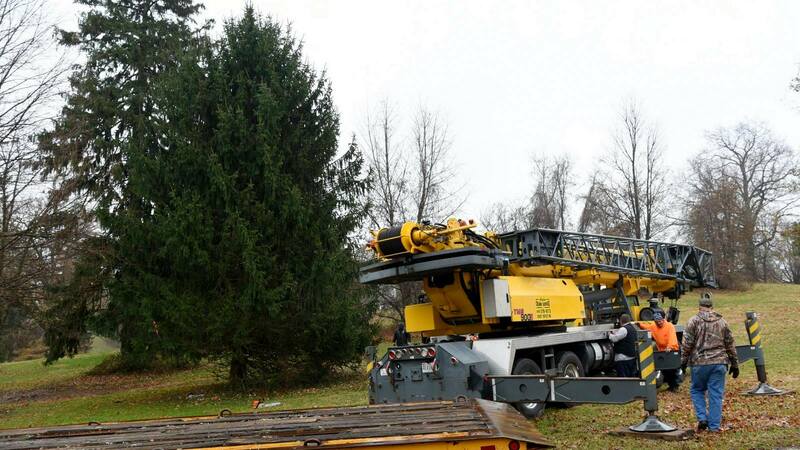 Photos posted by the mayor’s office show the tree standing on a grassy hillside. He promised that a replacement spruce will be planted somewhere in the city to make up for the loss of this one. 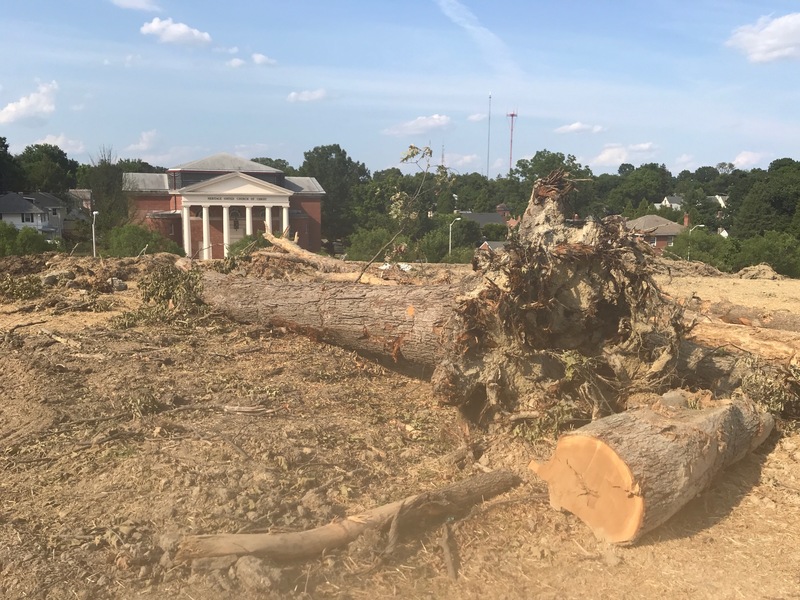 And he noted that the tree cut from the park will be recycled at the city’s wood waste collection yard (Camp Small) after it finishes its last stand on War Memorial Plaza. A few voices online said the critics were blowing the matter out of proportion. But most frowned on the sacrifice of the spruce, the latest high-profile municipal assault on the city’s own tree canopy. Earlier this year, the Department of Public Works cut nearly 200 trees at Hanlon Park in Ashburton for a water tank project. Last year the Pugh administration approved a BGE natural gas pipeline project that involved clearing 19 acres of woodland at Leakin Park. It claimed about 700 trees. So what are city officials doing to to prevent other trees in the city’s parks from becoming next year’s yuletide casualties? Their strategies appear to be long-term and at this point a bit hazy. 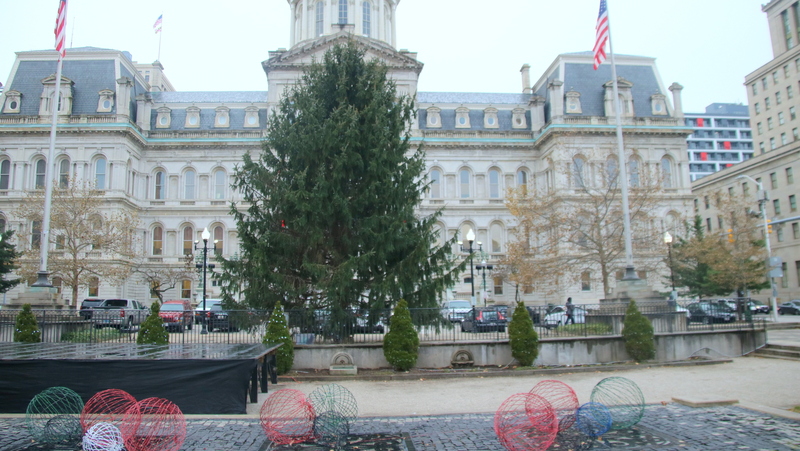 Dihle said he looks forward to the day when Baltimore marks the holidays by decorating a living tree on City Hall grounds. Those ideas didn’t console commenter Lisa Lewenz, who speculated that it would take another 30 years for trees to reach the size of the one the city cut down.